Representatives from EXPO CHICAGO, Paris’s contemporary art venue Palais de Tokyo, the Institut français, and the DuSable Museum of African American History have announced the location of the Palais de Tokyo’s off-site exhibition for this year’s EXPO CHICAGO, opening this September. Along with the announcement of the exhibition’s location, it was also revealed, at least in part, what the format of the show would be. The site for the exhibition will be the Roundhouse at the DuSable Museum near the University of Chicago, on the city’s South Side. The Roundhouse, which was designed by Burnham and Root in the late 19th century, was originally used for equestrian activities in Washington Park, where it and the DuSable are located. 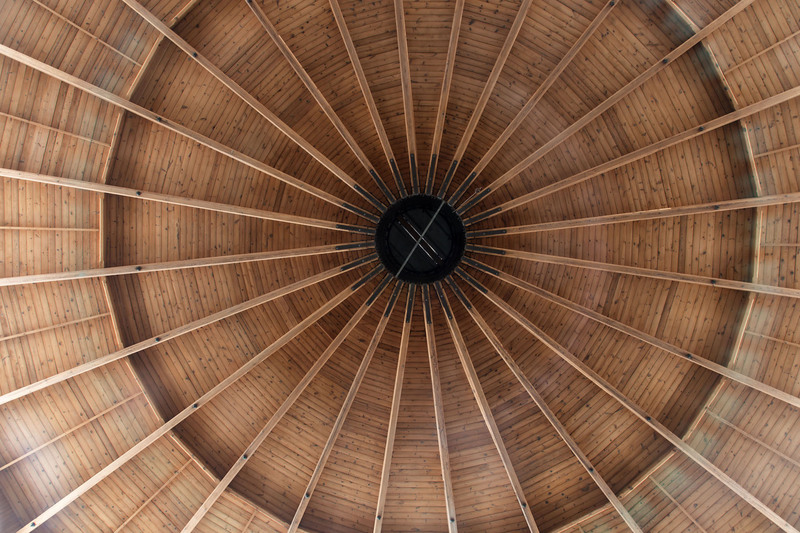 The structure includes an impressive wood dome, which has been completely refurbished along with the rest of the building in recent years. The Palais de Tokyo show will be the first public exhibition in the space. The show will be curated by Palais de Tokyo’s Katell Jaffrès, with exhibition design by designer Andrew Schachman, who was nominated by the Graham Foundation for Advanced Studies in the Fine Arts. Focusing on “the dialogue between architecture and artistic process,” the exhibition will fill the 17,000-square-foot building with site-specific works by a yet-to-be-announced group of artists. The artists will be from France and Chicago, and will work closely with Schuchman to conceive pieces that are not only works of art, but also spaces able to receive the works of others. The clear connection to architectural installations helps align the show with the Chicago Architecture Biennial, which will coincide with the opening of EXPO. The show will be executed in two parts over coming months, first as a residency and then as the exhibition. The residency work in partnership with Mana Contemporary Chicago, which will give the resident artist space to produce their large-scale pieces. The entire program will be the first in a new three-year program in Chicago that has been developed by the Palais de Tokyo and the Institut français. EXPO Chicago will run from Thursday, September 14th through Sunday, Sept. 17th.